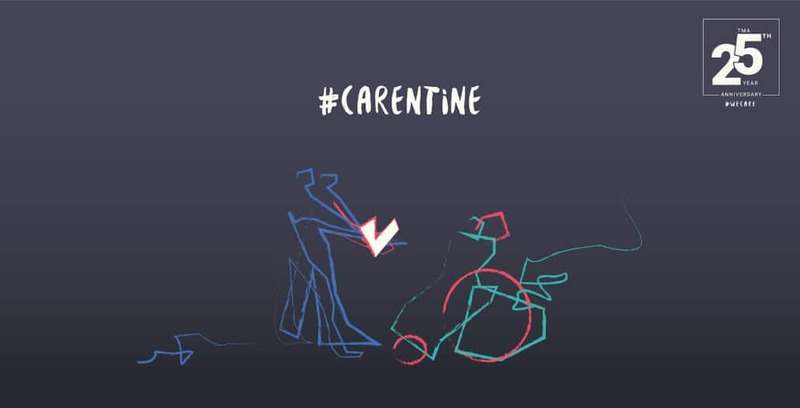 Will you be our #carentine? On a day like today, we want to remind you that love isn’t just about romance. Love is also found through community, friendship, and family. It’s empathy. It’s understanding. It’s warmth. It’s support. It’s care. And caring. Caring for one another. This Valentine’s Day —or #carentine, as we call it—, make a gesture of love like no other: show that you care by helping us cross the finish line of our #whocares campaign to bring hope and help to people affected by rare neuro-immune disorders. And thanks to a generous donor, the love you give will be doubled. We are only 7% ($15,627) away from our $250,000 goal, please help us make it a reality! 3. or, donate directly through PayPal. We appreciate any help you can give us, whether you donate $5 or $500. Every bit helps. Help us get to the finish line! Happy Thanksgiving from the TMA! https://myelitis.org/wp-content/uploads/2019/02/carentine-1.jpg 764 1500 The TMA https://myelitis.org/wp-content/uploads/2018/08/TMA_Logo_High_Res.png The TMA2019-02-14 14:56:222019-02-14 14:56:22Will you be our #carentine?